After writing about iphoneography.org the other day (here), I got a mail from Colin Vincent, who is behind that site. He had seen some traffic from here and wrote a little post on it on his blog. Funny to see how this works.. A long story short, in his mail Colin also mentioned the Hipstamatic app for the iPhone and a contest on www.hipstamtichipsters.com. For a mere $ 1.99 you can become the owner of a brand new old camera, the Hipstamatic app, and for a little more you can even buy extra lenses and films. Very cool, check it out! 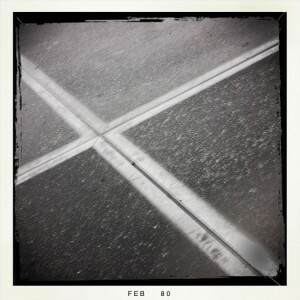 How is it to take photo’s with the Hipstamatic? Lots of fun, just click away, trying out the different lenses and films and discovering its possibilities. Before becoming a bit more conscious about what you are shooting. Or not.. The Hipstamatic has a rather small ‘viewfinder’ so it is a bit of trial and error what will be in the photo and more important, what will not. 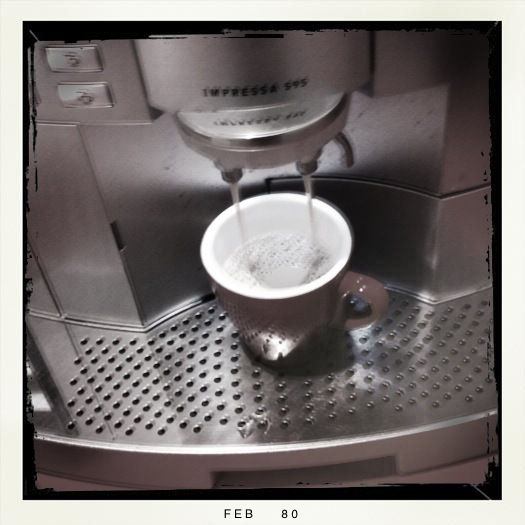 That might of course be an advantage: the photo above I made this morning, on my way to the office. 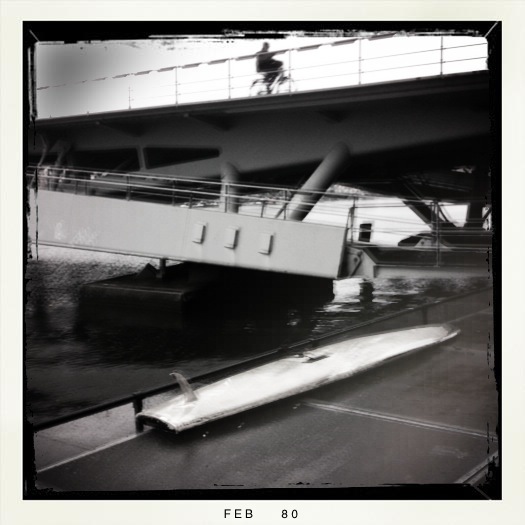 I saw the old surfboard and thought to feed it to my Hipstamatic, as I liked it in combination with the lines of the bridge. In the Hipstamatic viewfinder I could not see the biker on the bridge but actually it is he who makes this pic special… So try it and go out and shoot! Enjoy! This entry was posted on Monday, February 22nd, 2010 at 11:56 am. It is filed under All posts, iPhone and tagged with Hipstamatic app, iPhone, iPhoneography. You can follow any responses to this entry through the RSS 2.0 feed.